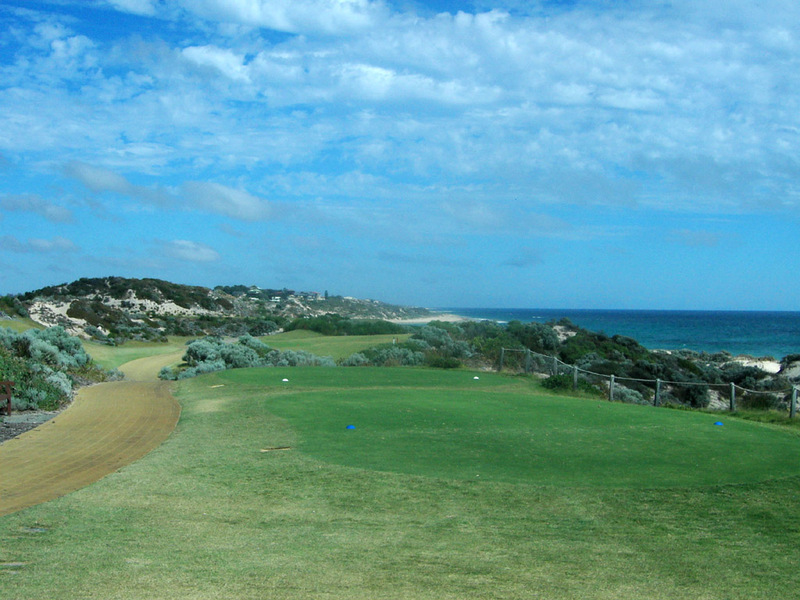 This is a spectacular coastal golf course meandering through rolling sand dunes and links land. 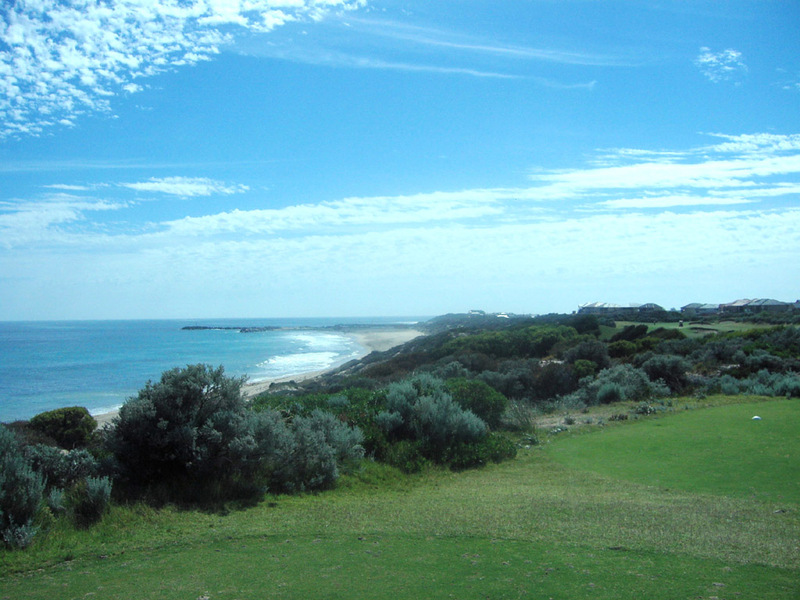 A series of breathtaking ocean views are seen from 12 holes. 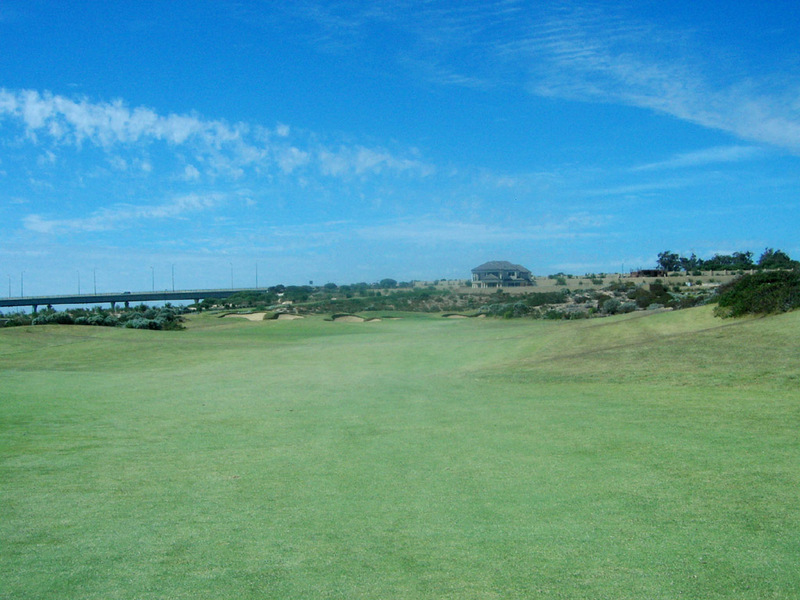 The course is perched in highly elevated sand dunes providing a unique landscape. 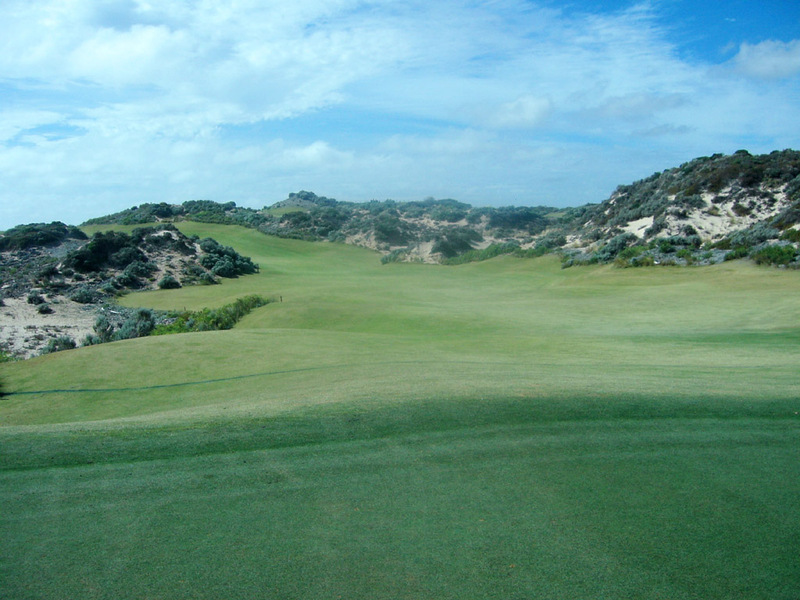 The fairways are relatively tight and flanked by sand dunes, which requires precise shots. Needless to say, your play is heavily influenced by winds. It is not overly long but the winds off the sea as well as the demanding layout certainly add to the degree of difficulty. 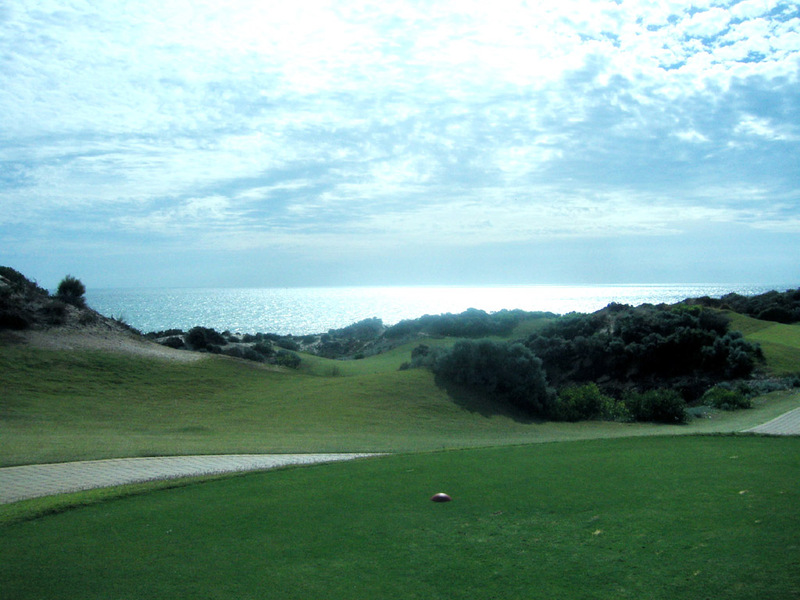 A straight, relatively short par 4 along the coastline . The tee shot is over bush. 2 deep cavernous fairway bunkers in the center are positioned in the landing area 250 yards and 260 yards off the tee, suggesting a lay-up. Even though you lay up, the second shot isn’t difficult as you can use a short iron to reach the flat green. This hole offers breathtaking views of the coast. A visually splendid par 3. The thick rough lies behind the green, ready to catch any shot struck too hard. Moreover, accurate length control is demanded by a deep bunker and an uphill apron in front of the green, eliminating the bump and run option. A dogleg to the left. The tee shot is downhill. 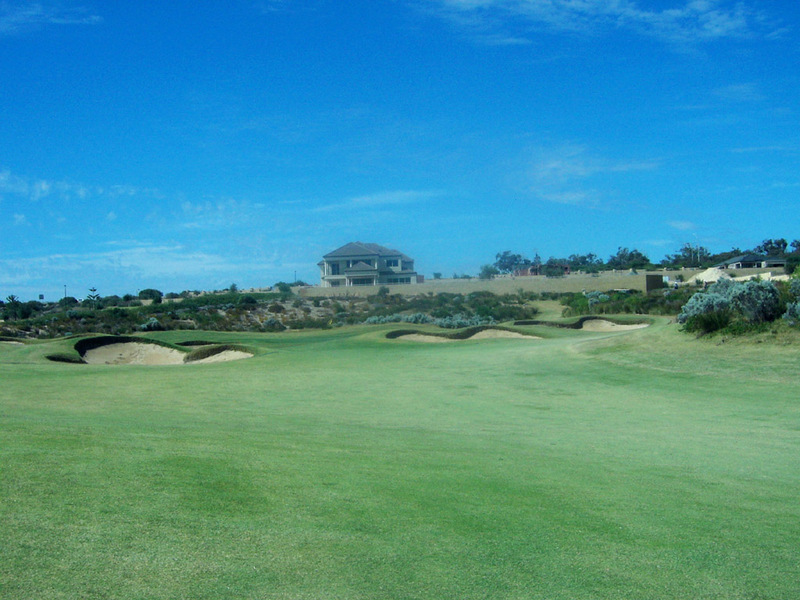 Two bunkers protect the corner of the dogleg, the first bunker 230 yards and the second 270 yards off the tee. 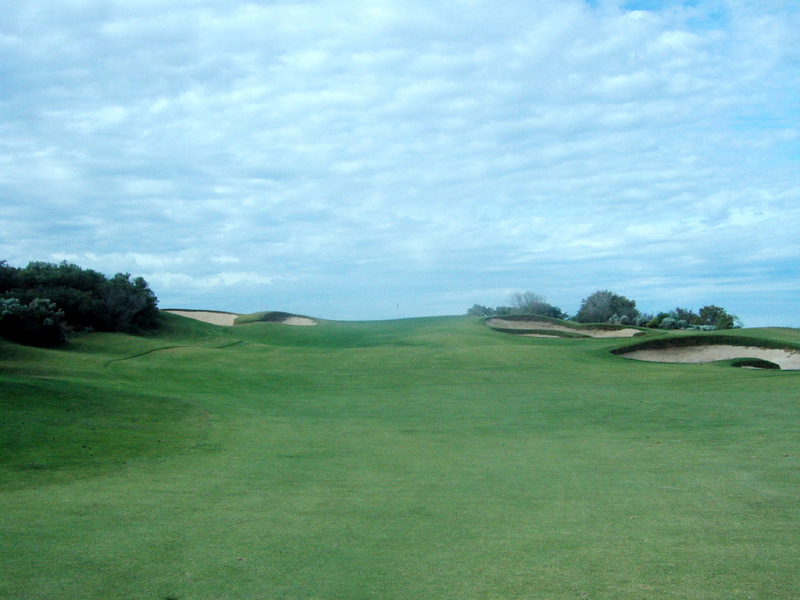 Five fairway bunkers are placed to trap a long second shot, so a game plan to avoid these bunkers is needed. A dogleg to the right. 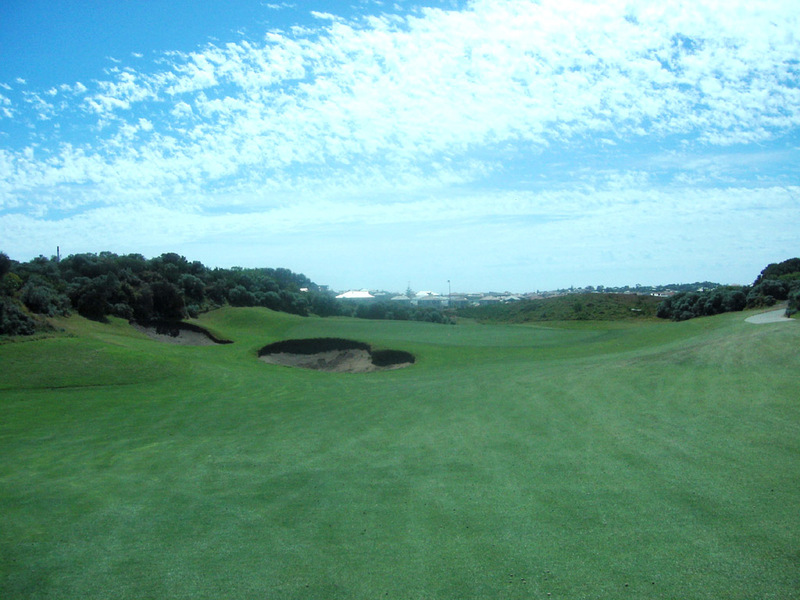 A big fairway bunker on the left is placed 260 yards off the tee. 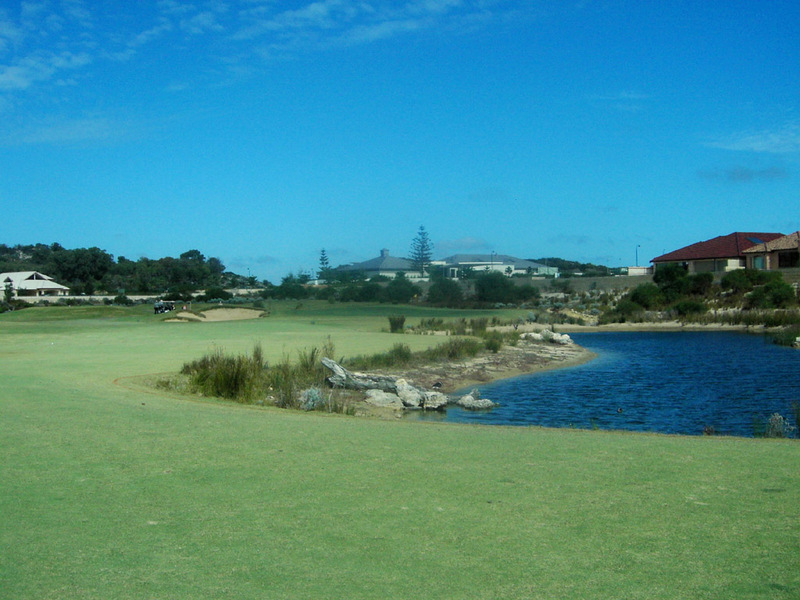 The landing area narrows for tee shots over 260 yards as water on the right eats into the fairway. 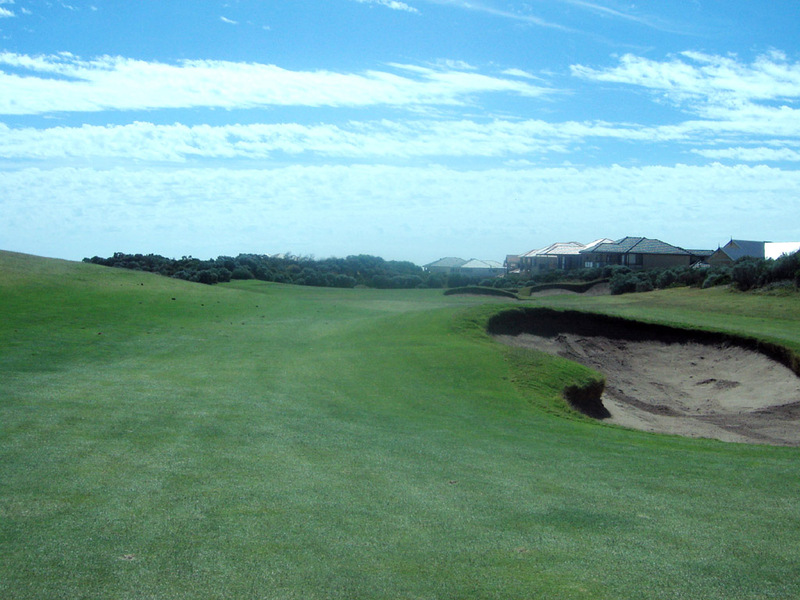 It is safe to hit the tee shot short of the left hand bunker. The green is protected by a bunker on the left and by water on the right. A dogleg to the right. 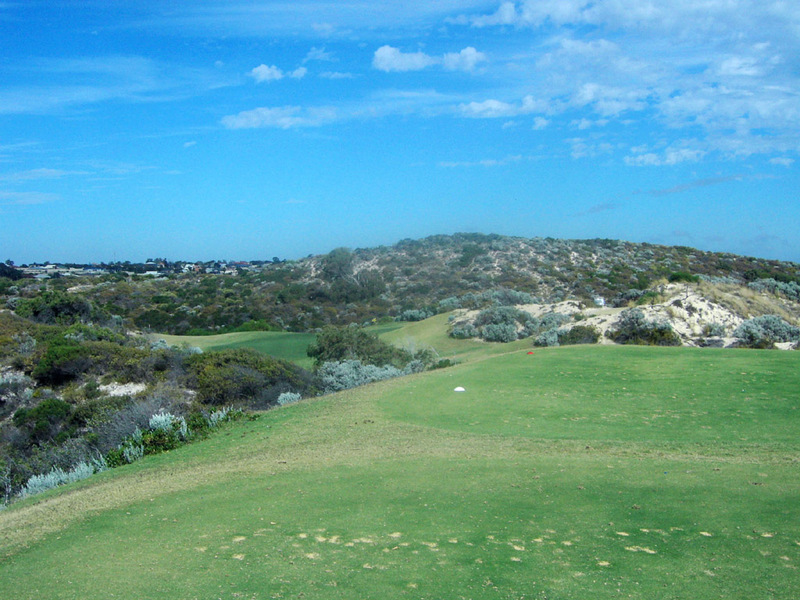 A large bunker on the right corner 250 yards of the tee comes into play. 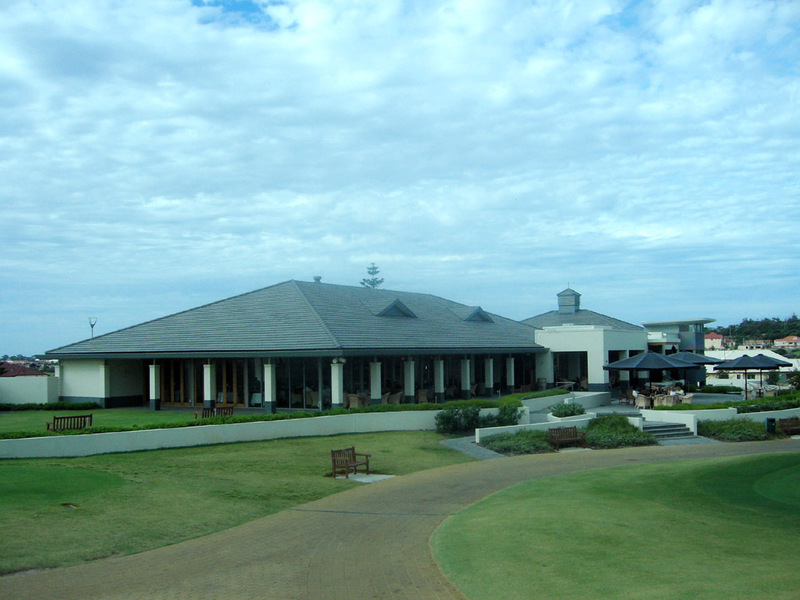 The best route is to clear the bunker but a carry of 280 yards is needed. A long hitter can challenge it as prevailing winds should assist. Carrying the bunker is very tempting because, if successful, substantial distance is taken off the length of the hole and par becomes more likely. Two bunkers protecting on the front right of the green should be avoided, as it is difficult to save par from these bunkers. 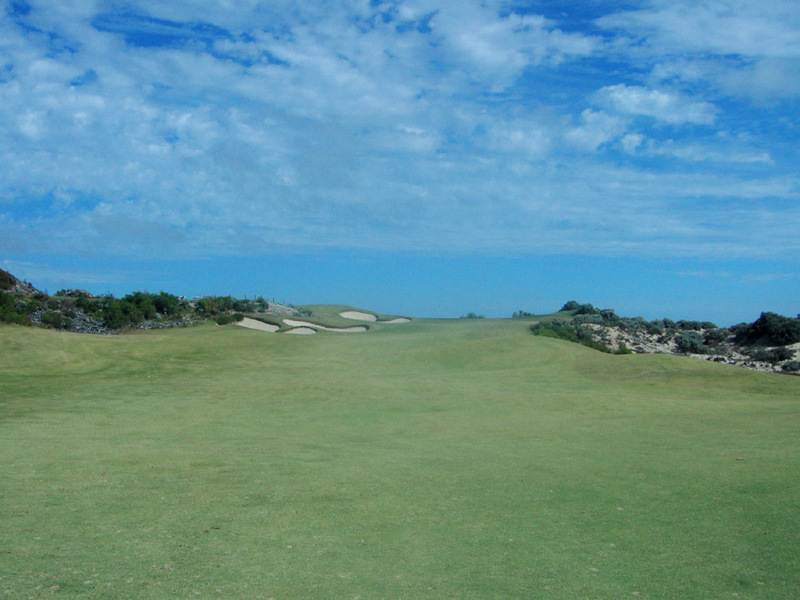 A dogleg to the right, “signature hole” with the ocean stretching out on the right. The tee shot is downhill. 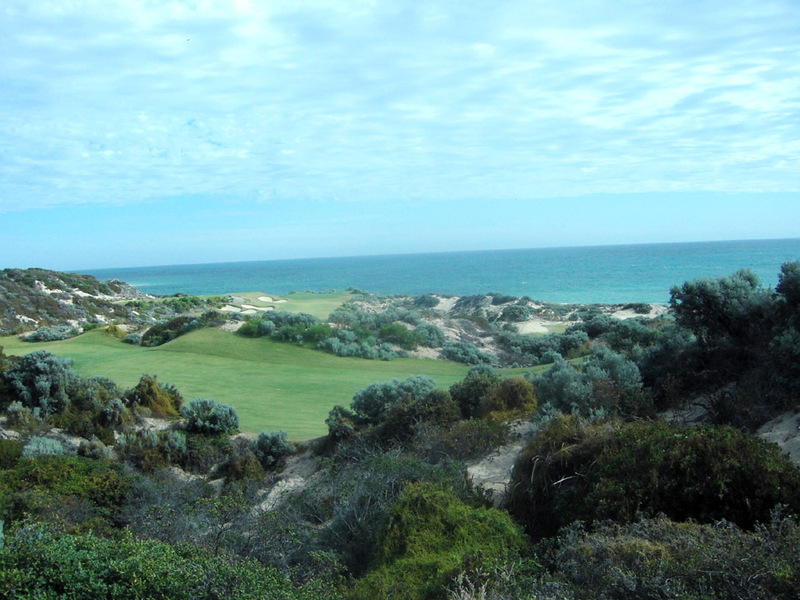 The narrow fairway meanders between some ruggedly wild sand dunes, so an accurate tee shot is needed. 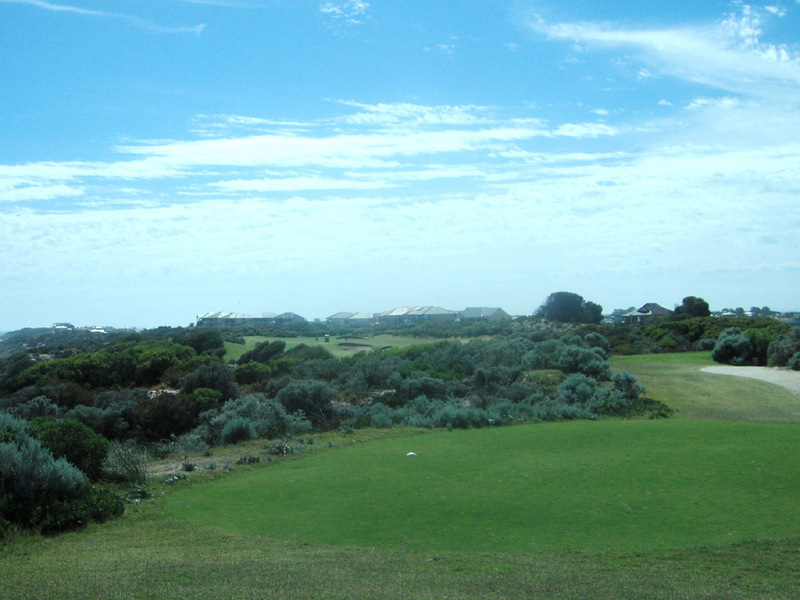 The second shot is uphill onto the green, guarded on all sides by a bunker, the dunes and sloping lies. 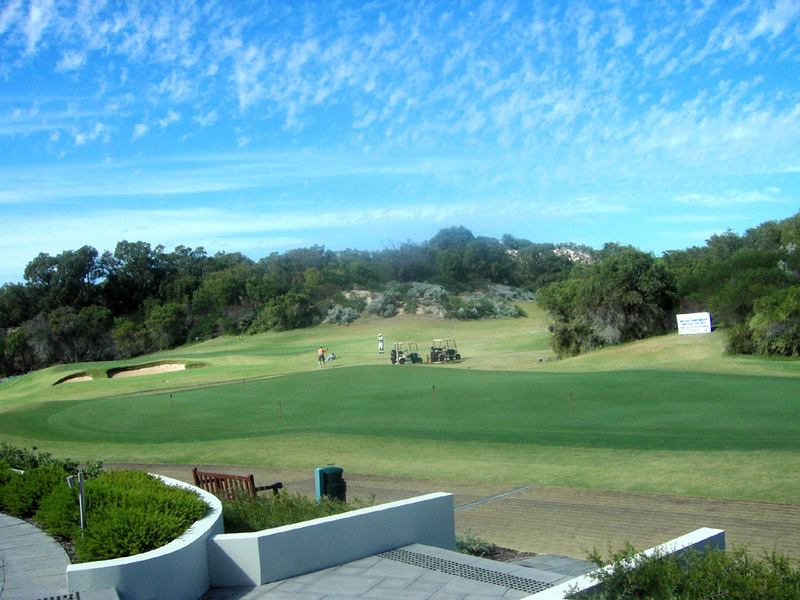 The hole is one of the best landscaped in Australia. 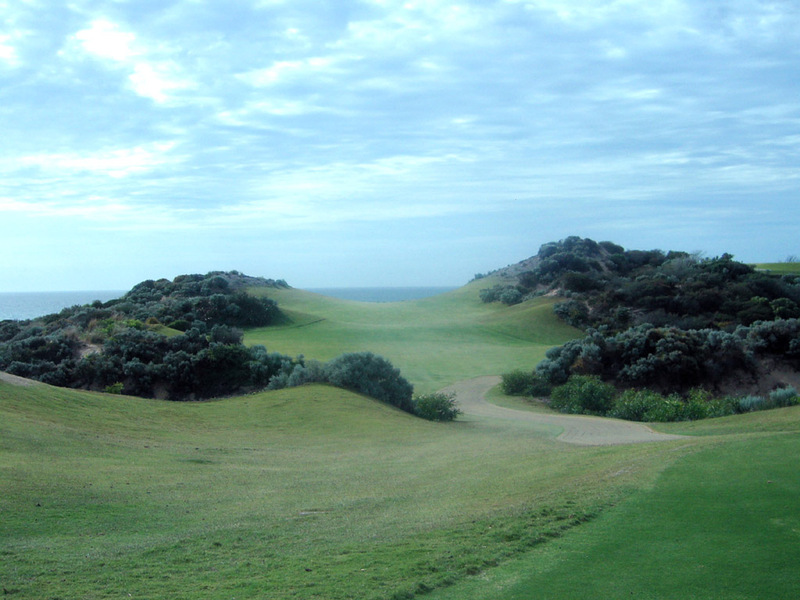 A short par 3 over a sand dune. The tee shot is downhill. 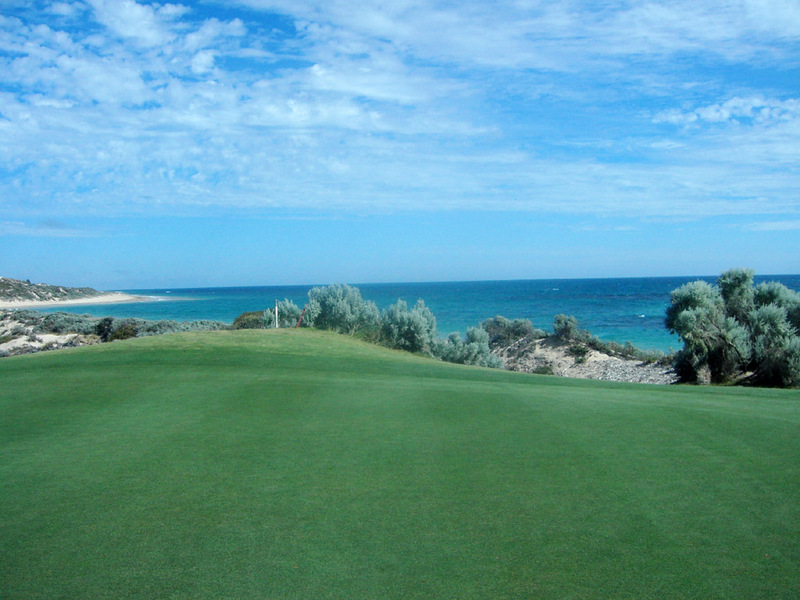 The green is narrow and deep with a sand dune on the left. 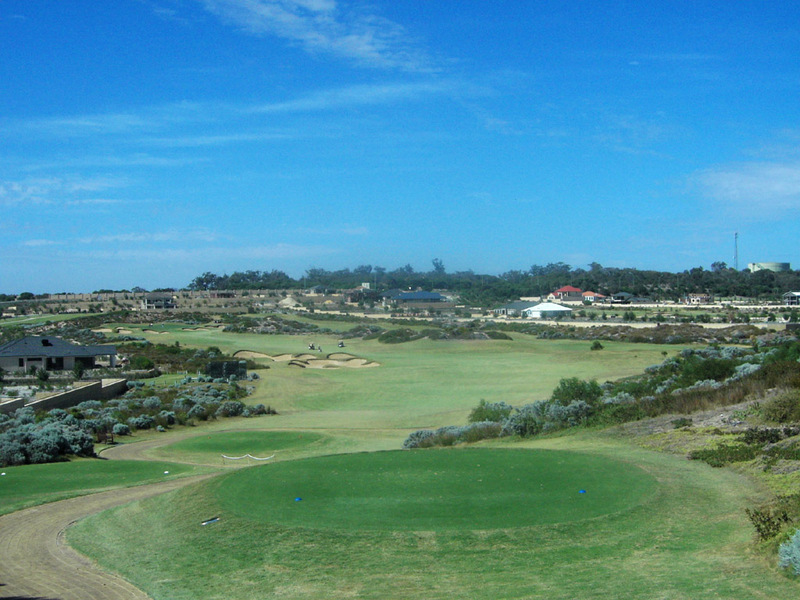 The tee is perched on the highest ground on the course, and the view from there is breathtaking. 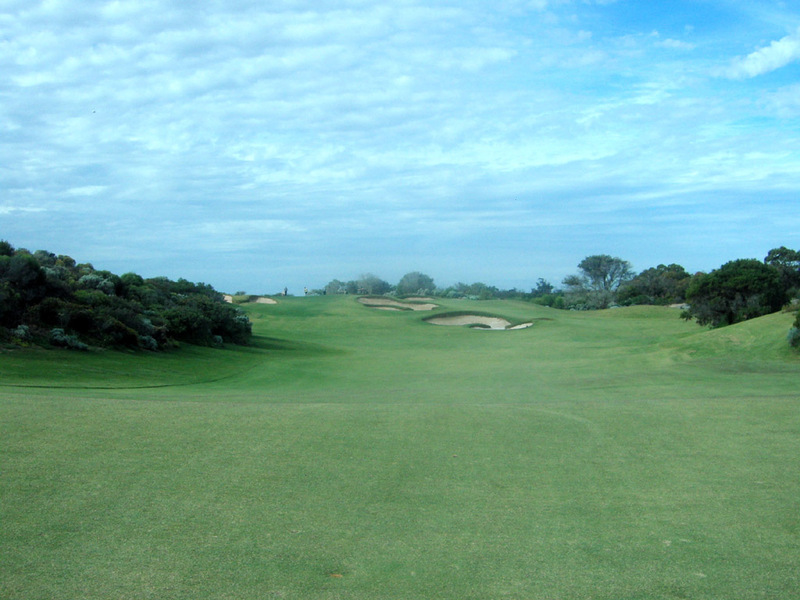 A slight dogleg to the right, a short but tight par 4. 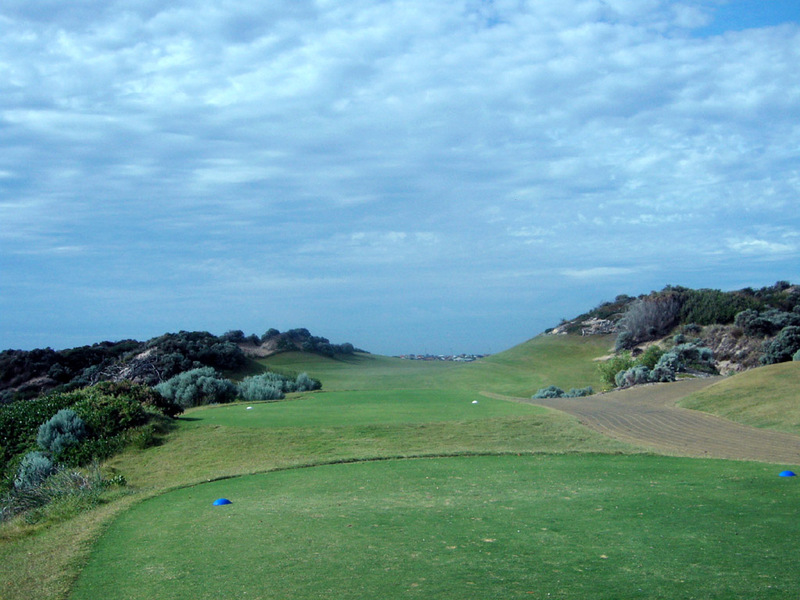 The tee shot is downhill toward the ocean. The second shot is uphill. 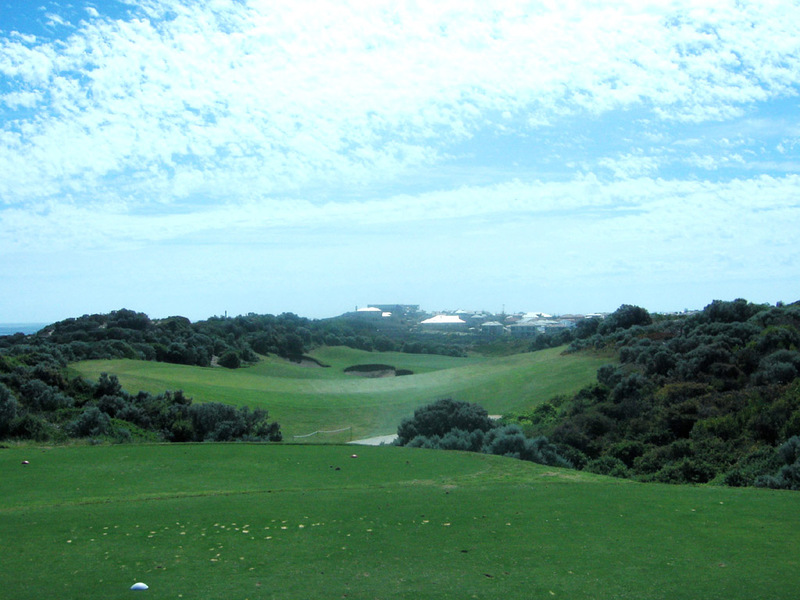 The hole narrows beyond 210 yards off the tee, so it is safer to keep your tee shot under 210 yards. 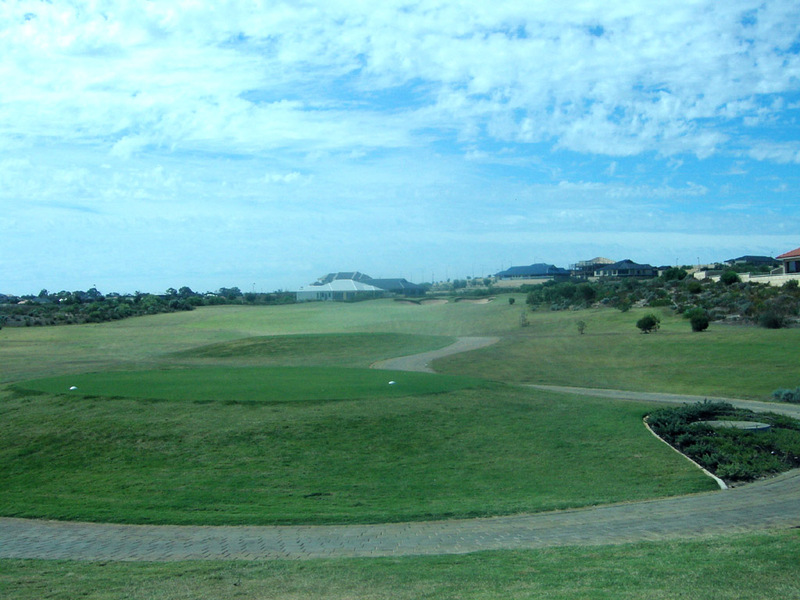 A slight dogleg to the right first and then a straight, long par 5 with the ocean on the left. 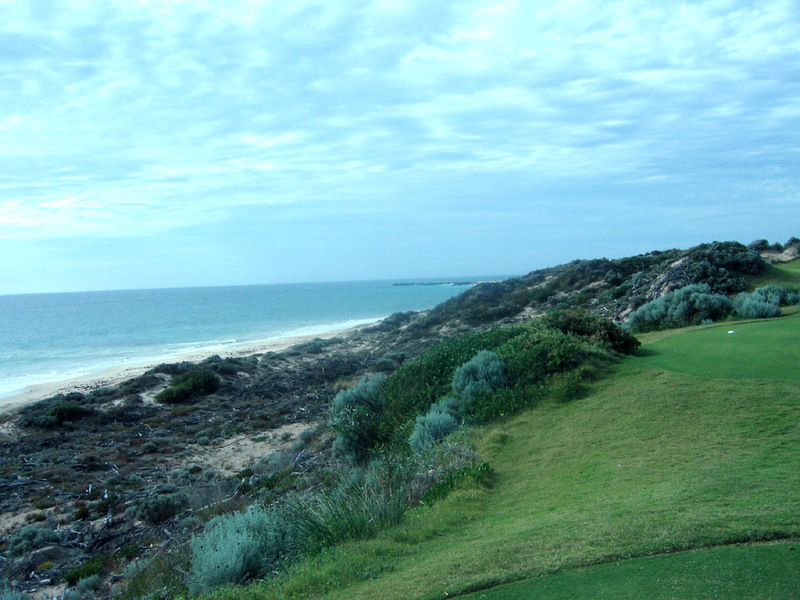 A drive over a sand dune on the right side is the best route to enjoy extra roll. From the first landing area the rolling fairway is slightly downhill before climbing steeply from around 100 yards in front of the green to the green perched high on a ridge. 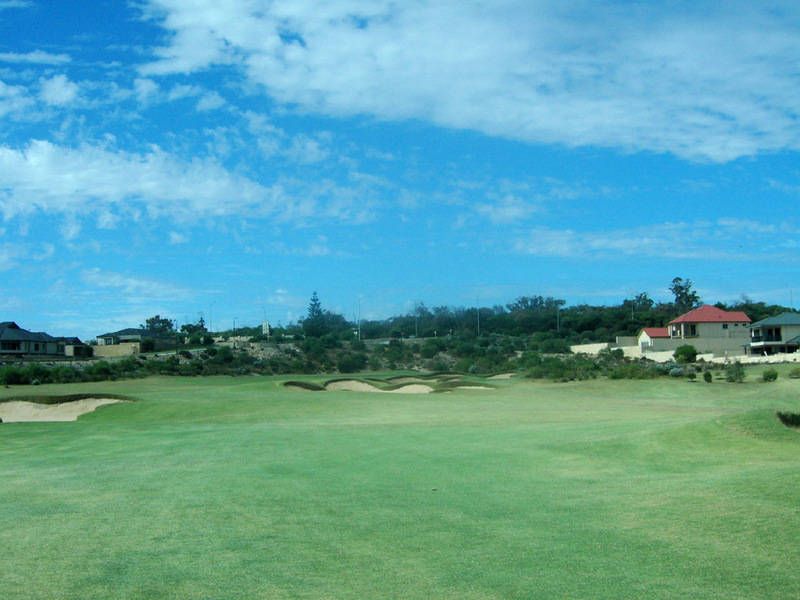 A cluster of bunkers in the second landing area and surrounding green must be avoided. 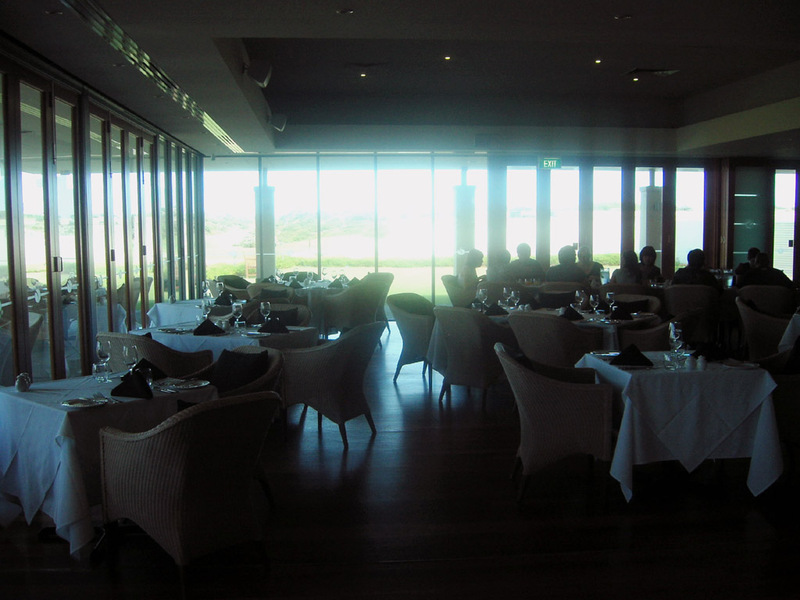 It is an 80-minute drive from Perth and a 95-minute drive from Perth International Airport. 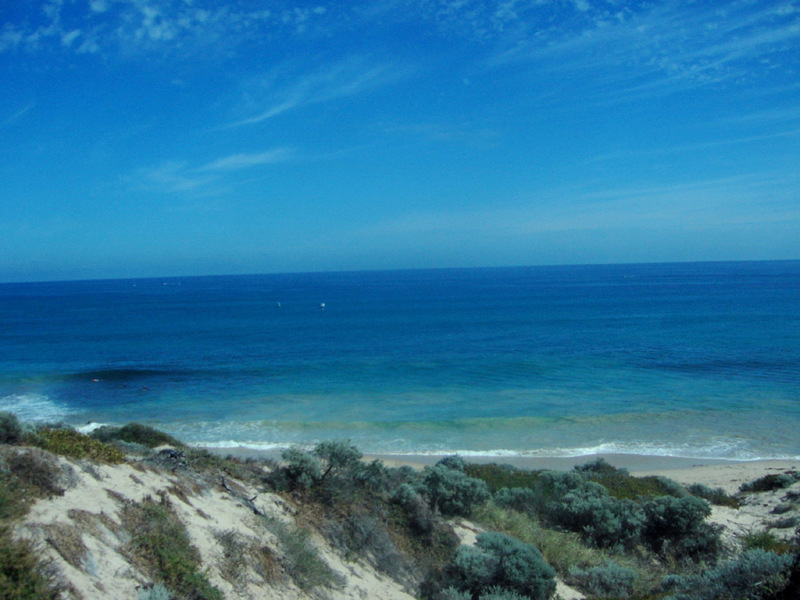 It also takes 20 minutes by car from Sheshells Resort Mandurah which I stayed at this time. Visitors can play. The distances are in meters. 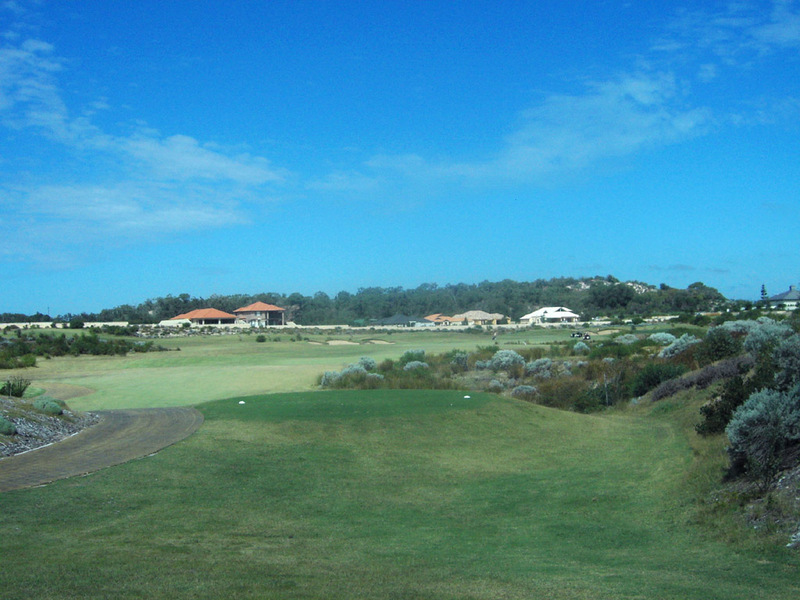 The course is ranked 21st in Australia by Golf Digest 2006. 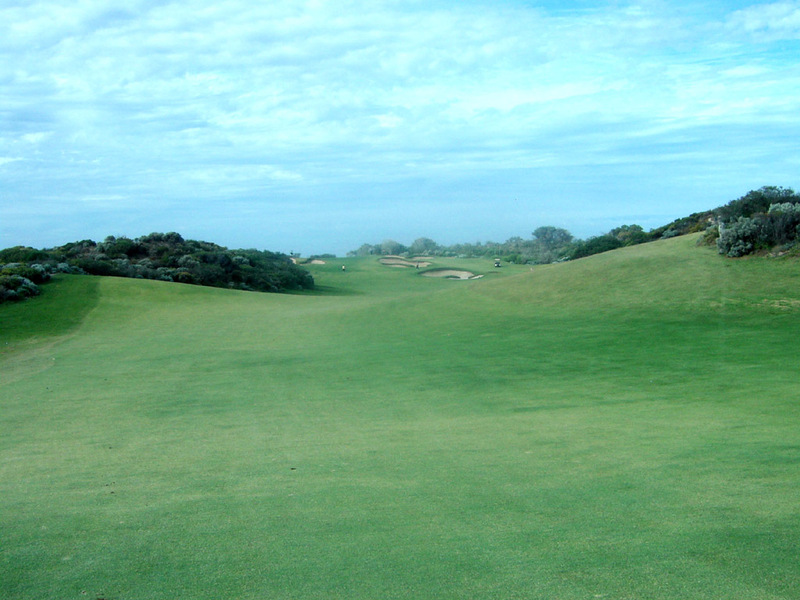 The other James Wilcher designed course in Australia is Pacific Dunes GR (14th in the above rankings).